Finance leaders of Japan, China and South Korea agreed to resist all forms of protectionism in a trilateral meeting on Friday, taking a stronger stand than G20 major economies against the protectionist policies advocated by U.S. President Donald Trump. 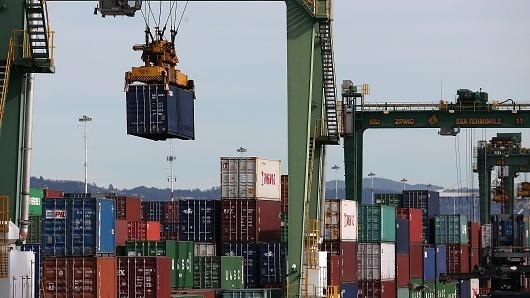 "We agree that trade is one of the most important engines of economic growth and development, which contribute to productivity improvements and job creations," the finance ministers and central bank governors of the three nations said in a communique issued after their meeting. "We will resist all forms of protectionism," the communique said, keeping a line that was removed - under pressure from Washington - from a G20 communique in March when the group's finance leaders met in Germany. China has positioned itself as a supporter of free trade in the wake of Trump's calls to put America's interest first and pull out of multilateral trade agreements. The trilateral meetings' communique said Asian economies were expected to maintain relatively robust growth thanks to a long-awaited cyclical recovery in manufacturing and trade. But it warned that downside risks remained and called for policymakers to use "all necessary policy tools" to achieve strong, sustainable, balanced and inclusive growth. "We will continue a high degree of communication and coordination among China, Japan and Korea to cope with possible financial instability in the context of increased uncertainty of the global economy and geopolitical tensions," the communique said. It also said the three countries agreed to enhance cooperation under the G20 framework and work towards a successful summit of the group in Hamburg in July. The trilateral meeting was held on the sidelines of the Asian Development Bank's annual meeting in Yokohama, eastern Japan.